Angels’ Eyes PLUS® Beef Tear Stain Soft Chews are a special all natural enhanced anti-tear stain formula specifically developed for both dogs and cats for unsightly tear stains from the inside out! 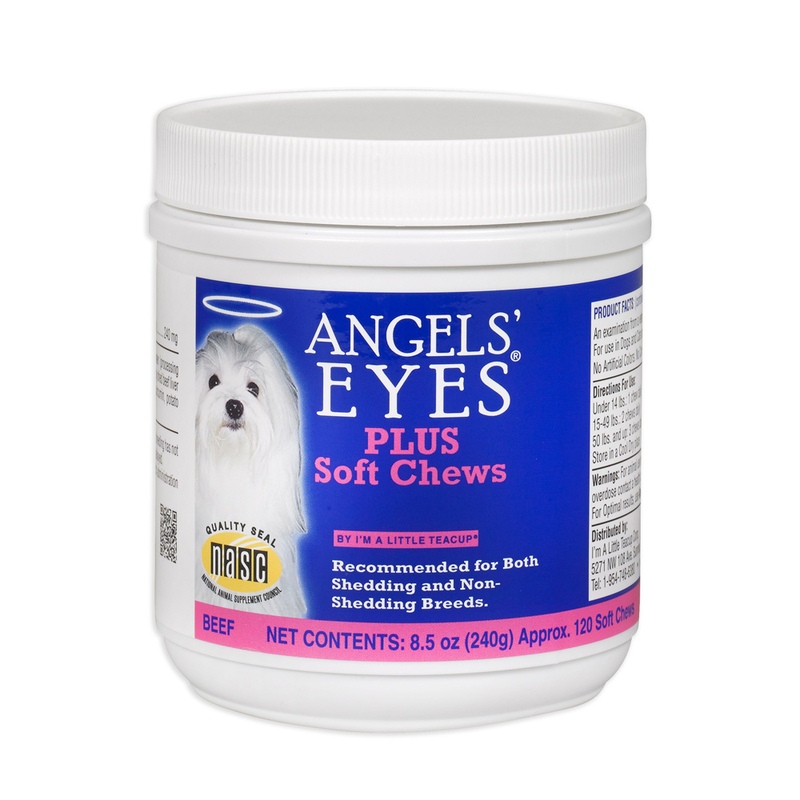 Angels’ Eyes PLUS® Beef Tear Stain Soft Chews is a proprietary blend composed of natural antioxidants and helps support the normal inflammatory response. Available in 120 counts. Angels’ Eyes PLUS® Beef Tear Stain Soft Chews are extremely palatable and never adds food dyes, wheat, corn, or soy which may have negative effects on your pet!